In 2004 my family moved to this wonderful community of Cooma. My parents enrolled me at St Patrick’s Parish School where I was enriched with a positive learning environment and made many life long friends. During my high school years, I attended Monaro High. High school was at times challenging but instilled skills that will be beneficial for becoming who I am today. Several teachers at Monaro identified strengths in me that created a learning path which I thought at the time was unattainable. With their ongoing support and guidance, I was able to work towards my personal goals and be on the right track to have many exciting career options. At Monaro High I was an active member of the Leo Club which is a sub branch of the Cooma Lions Club, currently run by the school. This was a fun time volunteering for community events and supporting the local people. It was a privilege to be involved in the conversations regarding the upgrades of our local Lions Park on Yallakool Road. An instrumental part of my teenage years was the employment at Percy’s Newsagency. I grew as a person, learning how to communicate professionally with all people and be resilient when dealing with difficult conversations. I learnt how to balance school, work and a social life. Percy’s allowed me to share my creativity and instilled a positive work ethic. By time I finished my employment, I gained a Certificate 3 in Retail. Once I completed my Higher School Certificate, I was accepted in the Monaro Farming Systems Traineeship. I gained a Certificate 3 in Agriculture and many skills in the operations of a large working farm. I was taken out of my comfort zone and loved the opportunity to work with all aspects of sheep and cattle management. A component of my traineeship was to maintain different farm machinery, I was fascinated by diesel engines and looked for any opportunity to work on them. To date, I am currently in my third year of a Heavy Road Transport Apprenticeship employed by Snowy Monaro Regional Council and my focus is becoming a diesel mechanic. I am excited to be employed by a progressive council that has empowered me to have confidence to work on equipment used for road construction, parks and gardens and plant hydraulic machinery. I will have extraordinary opportunities when I finish my apprenticeship and will always be grateful for my time working with a supportive and knowledgeable team. I am a volunteer member of the Rural Fire Service. I really felt the need to support my community after seeing firsthand the devastation that is left behind in a farming community when a fire has taken years of hard work and loss of valued livestock. This experience has taught me a lot about humility and strength formed in times of crisis. I entered the Show Girl competition to demonstrate my passion and support for our rural community. 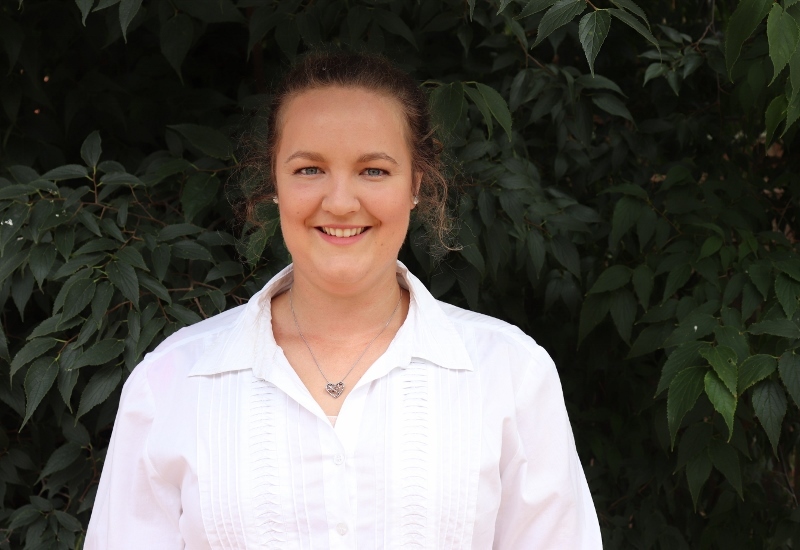 To me, this competition is more than participating in social events, it is being an advocate for the Cooma Monaro Area and representing a community of people who have helped raise me and taught me the values of being part of something that has had a long tradition, which brings a whole community together.